What's The Most Fun You've Ever Had In A Rental? The Question of the Day is in honor of today's Rental Car Reacharound. And reacharounds in general. 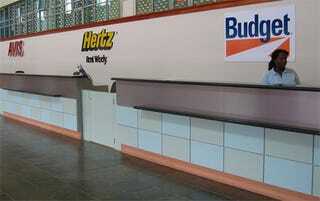 Just $9 per day is typically what it costs to fully insure a rental car against any and all damage. A good friend of ours was recently dumped by his wife of ten years. Because his daily driver was in the shop, he had a rented Charger and was feeling sad one night. He wound up putting the Dodge into a ditch. And blowing all four tires. And cracking the frame. And it cost him... $0. Obviously, we've never so much as smoked in a non-smoking rental (cough cough). But how about it, what about you? Bonus points to anyone who can post a link to the rental car article from Spy magazine.